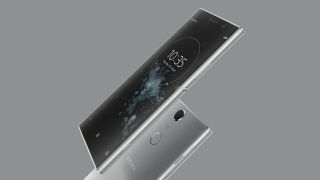 Sony has just added to its Xperia XA2 range with the announcement of the Sony Xperia XA2 Plus, a phone that’s set to join the already-available Sony Xperia XA2 and Sony Xperia XA2 Ultra, and it's the only one of the three to sport an 18:9 screen. As well as the change in aspect ratio, which puts it more in line with modern flagships, it’s the first phone in the range to sport Sony’s High-Resolution audio and upscaling technology, meaning you should get more out of your music than many mid-rangers manage. The bezels also look as though they might be slightly smaller than on the other XA2 models, but otherwise this sounds a lot like the Xperia XA2 Ultra, with other specs including a 6.0-inch Full HD+ display, an aluminum frame, a rear fingerprint scanner, a 23MP rear camera and a 3,580mAh battery. One area where the Ultra might have the Xperia XA2 Plus beat is the front-facing camera, as while the XA2 Ultra has a dual-lens one, the Xperia XA2 Plus has just a single-lens 8MP one, albeit a wide-angle one. So it’s not totally clear which phone is higher-end. If there was any doubt that the Xperia XA2 Plus is mid-range though the chipset clears that up, as it uses a Snapdragon 630 – the same as the other phones in the range. The Sony Xperia XA2 Plus is set to launch running Android Oreo in August, and you’ll be able to pick it up in silver, black, gold or green. There’s no confirmed price yet, but we’d expect it will be similar to or slightly more than the Xperia XA2 Ultra, which started at £379, $449.99 (around AU$670). We also don’t know which countries the Sony Xperia XA2 Plus will be sold in. There’s no confirmation of a UK launch, so don’t expect it there any time soon if at all, but we’re not sure about the US or Australia. We’ve contacted Sony to find out and will update this article if we hear anything.